The value of Muslim Travel Market has reached to 145 billion dollars in 2014 and 117 million Muslim Tourists compose 10% of whole travel economy. By 2020, it is expected that 168 million tourists will travel and halal tourism market will create 11% of the travel economy by spending about 200 billion dollars. Growth of Muslim Travel Market will contribute to the increment of accommodation, food, shopping and other related sectors demands (Crescentrating, 2016). Halal tourism is a group of facilities about meeting the accommodation, travel, recreation, transportation etc. needs with Islamic rules and faiths. Halal tourism which has been showed up to meet relaxation, traveling and socializing needs of conservative people has been becoming an important tourism segment. The difference between halal tourism and faith tourism is that the destination for the halal tourism does not need to have a relation with religion. In any case, all facilities need to come actualize within Islamic provisions. 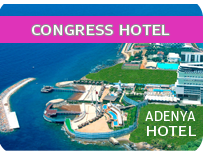 1.International Halal Tourism Congress is going to be occurred with the congress and a day trip. The congress will ensure building close relations and learning new information to the participants about changing market trends and opportunities in Halal Tourism field by experts and leaders of the sector. Halal tourism is a group of facilities about meeting the accommodation, travel, recreation, transportation etc.